I got a lot accomplished last week in my ongoing home transformation. So far my husband has been a good sport so I hope that continues for the rest of the year as I tackle a new room each month! 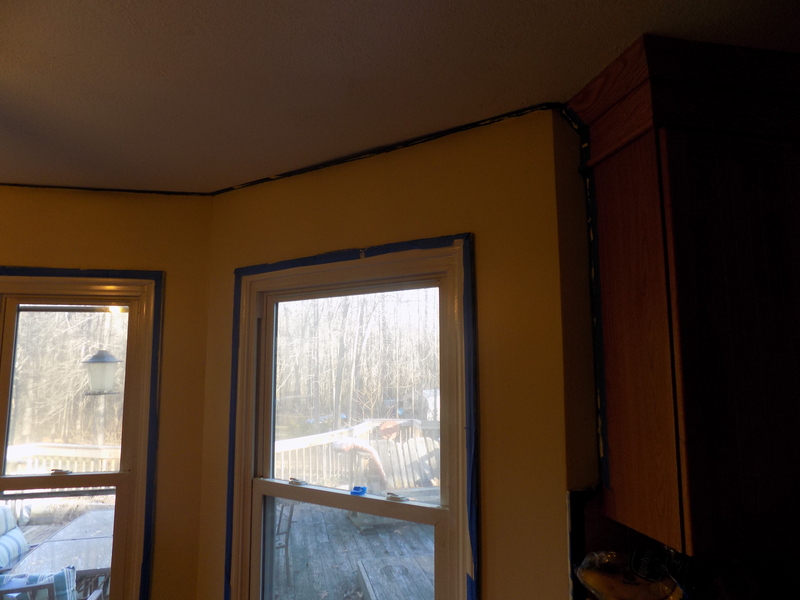 After the painting was complete, I measured all the windows and sewed the valances. 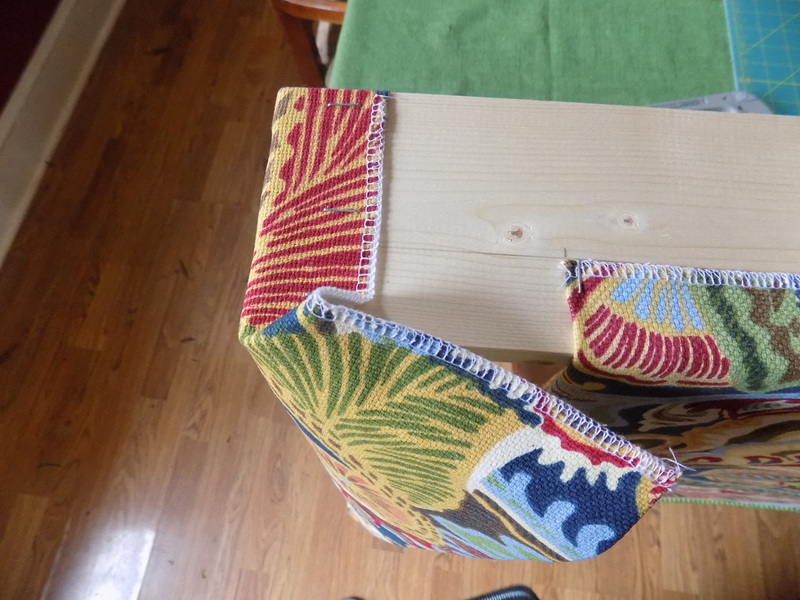 Since the back of my valances can be seen from the deck, I had to line them to prevent fading and unsightly views. I used a wonderful tutorial from Kelly at View Along the Way. The original tutorial is for drapes but the instructions and photos are super easy to follow and I simply adjusted the length to make a valance instead. 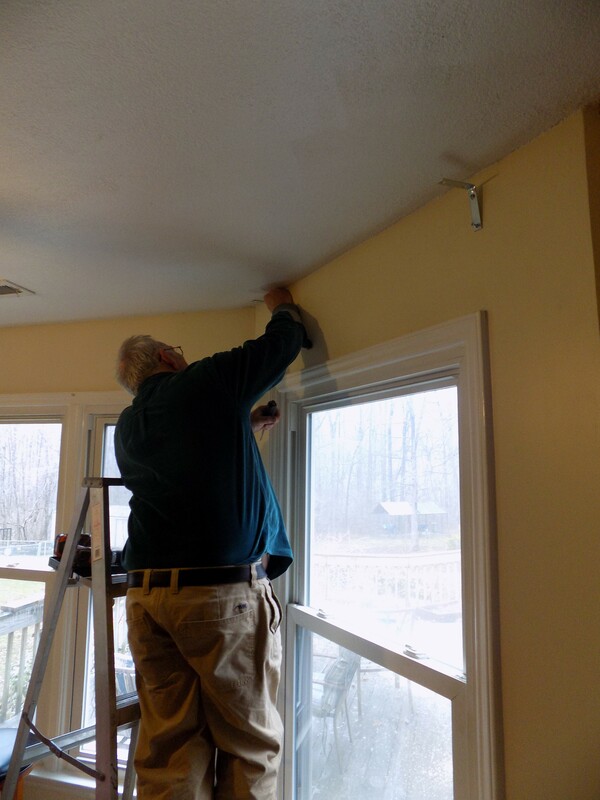 Once the valances were sewn, Eric hung “L” brackets and cut 1x4s to use as toppers. 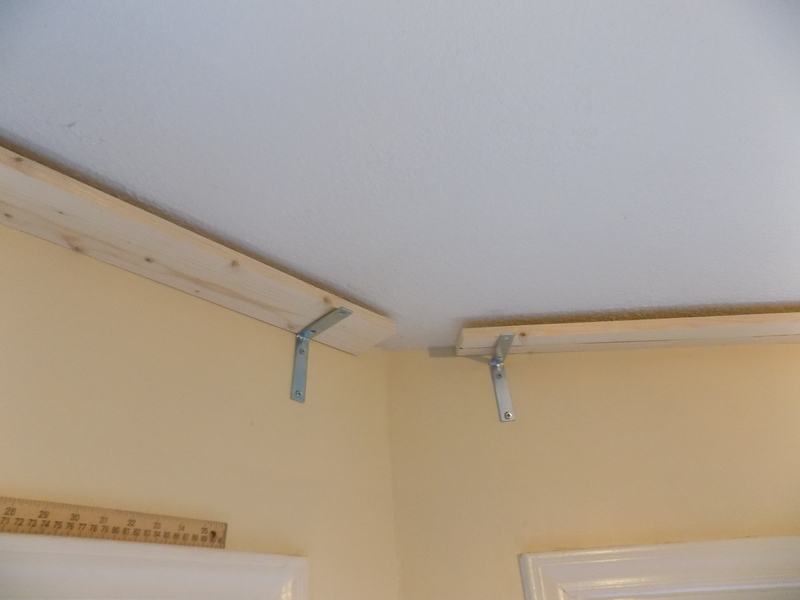 We used a staple gun to attach the valance to the 1×4 then simply slid on top of the bracket. The final result is awesome but I am saving photos for next week’s big reveal!